Toni learned needle arts from her mother, who in turn, learned from her mother. Toni was born and raised in Boston's North End, and she maintains a vital connection to this Italian American community. 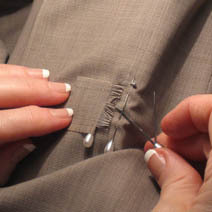 She is highly regarded by customers and by high end retail stores for her excellent skill in mending cherished items of clothing. Using the skills passed down through her family, Toni repairs and restores suits, sweaters, coats, couches, tapestries, and uniforms (including Babe Ruth's 1926 New York Yankees baseball jersey). In addition to working on heirlooms, Toni keeps up with the new weaves and fibers used in today's textiles. 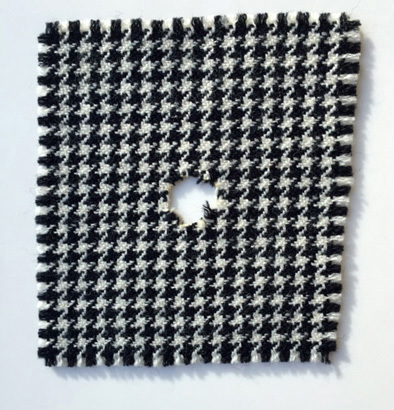 To work on these micro fabrics, some containing between 100-125 threads per inch, Toni uses a high powered surgeon's loupe.